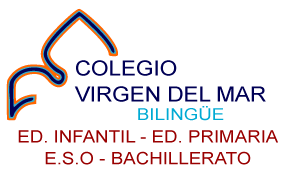 Colegio Virgen del Mar was established by ministerial order on 21st June, 1966, and was transformed by another ministerial order on 11th March, 1974 (B.O.E., 22nd March, 1974). Founded by teachers Ms María Lola Rodríguez Afonso and Mr Manuel Chinea Medina, it was opened up on 1st July, 1965, together with the neighborhood of Santa María del Mar with the aim of schooling its inhabitants, who consisted of more than five hundred families back then. Even though Colegio Virgen del Mar was initially organized in blocks 46 and 47, which were well suited for their purpose under the pedagogical supervision of education inspector Mr Luís Jorge Telle, it was moved to its current whereabouts later on. This building was erected specifically to become Colegio Virgen del Mar thanks to a loan granted by Caja General de Ahorro and other institutions. Colegio Virgen del Mar dealt with the schooling of youngsters in the area for four years, since it was not until that moment when Santa María del Mar public school came into being. Moving the school implied a deep restructuring of its inside organization, thus noticeably enhancing the teaching quality of the institution, as shown by how all the different levels are run and the adaptation to Vollar Palasí’s Education Law in 1974. Although in its early years Colegio Virgen del Mar was focused on schooling the population of newly founded Santa María del Mar, it soon started to receive students from other places. Throughout these first fifty years, it has received and still receives students from Santa María del Mar, El Sobradillo, Barranco Grande, La Gallega, El Tablero, El Chorrillo, Radazul, Tabaiba, Candelaria, Taco, Tíncer, Polígono de Ofra, El Cardonal, Barrio de la Salud, Santa Cruz casco, Valleseco, Los Alisios, Añaza, Acorán, and La Laguna, among other residential areas. For fifty years, Colegio Virgen del Mar has been giving priority to “the development of individuals as a whole, paying attention to their psychological, physical, emotional, intellectual and moral growth.” On this line, everything taking place inside its walls has this as its main aim. Colegio Virgen del Mar has been carrying out a teaching style based on trust, personal responsibility, motivation and collaborative spirit to reach a high standard of quality and excellence all over from Nursery School to Bachillerato. Solidarity amongst men, regardless of race, gender, social class or religion. The uplifting of social justice and the overcoming of social differences and other sources of marginalization. The opening up and respecting of others through in a wholesome way. The fostering of values such as integrity, personal and professional honesty, responsibility, and service to the common good among many others. 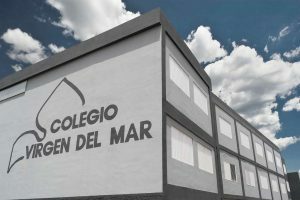 Colegio Virgen del Mar has always been open to the changing times, and it has evolved with them according to the demands of society. Regarding said social demands, Colegio Virgen del Mar is a bilingual school (English and Spanish) that has bet high for languages. More than 70% of the subjects imparted at school are taught in English. In addition, from 4th year in Primary Education, students start learning German and have the possibility of becoming exchange students in Germany. Colegio Virgen del Mar has not hesitated to add new elements in its educational processes so as to adapt to an ever changing society and to help its students be prepared for life outside school, such as new technologies, emotional education, entrepreneurial learning, maths for life, etc. 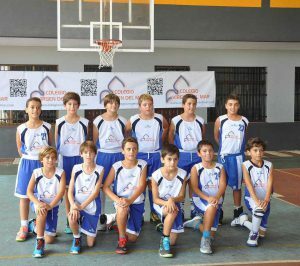 It is also worth noting the role Colegio Virgen del Mar has been carrying out in the area of sports, especially basketball, for its display case shows national, regional and local trophies. However, what really counts is how the school has instilled passion and love for sports in its students. Likewise, many other cultural events and festivals organized for students, parents, families and locals have always had an important place in the teaching path of Colegio Virgen del Mar. Undoubtedly, Colegio Virgen del Mar takes the greatest pride in the three different generations of students that have passed through the school gates. These students have received the required training and education to launch their careers onto higher education levels, in areas such as Medicine, Mathematics, Engineering, Economy, Law, Music, Media, Teaching, and many others, and all of them also take pride in having been Colegio Virgen del Mar students.